We are excited to announce the eighth annual Junior League of Washington Kitchen Tour will be hosted on Saturday, May 4, 2019! Don’t miss your opportunity to experience the self-guided tour of the finest kitchens in Kalorama-Adams Morgan, all while enjoying culinary demonstrations, hors d’oeuvres, and signature cocktails. Tours start at 12:30 p.m., 1:30 p.m., and 2:30 p.m., and tickets are available for $50 each. Want to upgrade? 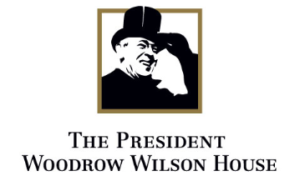 Our VIP experience kicks off with an exclusive brunch at the historic Woodrow Wilson House in Kalorama. VIP attendees also will have early access to the tour, special food tastings, and other exclusive perks. Brunch starts at 10 a.m., and VIP tickets are available for $125 each. To purchase both general admission and VIP tickets, please go here. There’s still time! If you would like to submit your home to be featured on the tour, please apply here. If you have any questions or wish to become a Kitchen Tour partner, please email kitchentour@jlw.org.